Amanda Nunes aims to be widely considered the greatest female mixed martial artist of all time with a win over Cris Cyborg. Nunes is the reigning Ultimate Fighting Championship (UFC) women’s bantamweight title holder. She will be moving up in weight for her next fight to challenge women’s featherweight champion Cris Cyborg. The two will collide inside the T-Mobile Arena in Las Vegas, Nevada for UFC 232 on Dec. 29. Nunes has had three successful title defenses. She earned a first-round submission over Miesha Tate to capture the gold back in July 2016. She went on to defend her 135-pound title against Ronda Rousey, Valentina Shevchenko, and Raquel Pennington. As for Cyborg, she hasn’t been defeated in MMA since May 2005. For over 13 years, Cyborg has been unbeaten. She has defended her UFC women’s featherweight title twice. There are few fighters in MMA who have been as dominant as Cyborg, so a win for Nunes would turn a lot of heads. 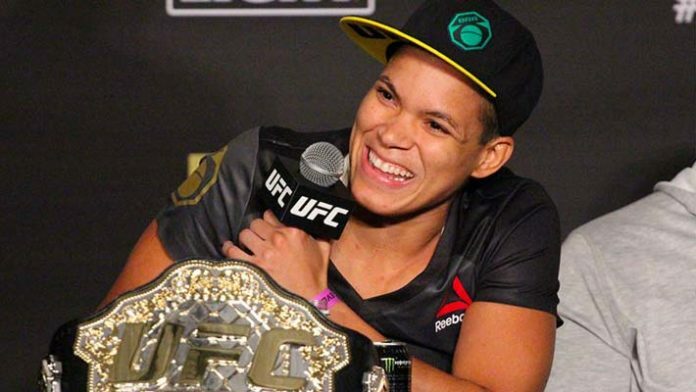 Do you think Amanda Nunes would be considered the women’s GOAT if she defeats Cris Cyborg?